Do anda know who sings the most? Little Mix are amazing. They have killer voices but do anda know who gets to here Jade's voice every morning and atau night .... her shower. Perrie can do a really good goat impression. Leigh-Ann has a magical tounge and can make half a flower. Jesy can do a really good crying baby. everyone loves sweets and Leigh-Ann loves haribo tangfastics. I hope that little mix hind lebih talents. They are NOT mine and they are not meant for any hate on Little Mix. If anda get the wrong idea, please leave. Leigh-Anne once climbed a pohon with her tongue. Jesy was taken in and raised oleh monkeys when she was a child. anda think anda know Little Mix better than anything else? Think again! But anda don't have to in front of your fellow mixers after membaca these facts! Get your knowledge about Little Mix ready to grow! 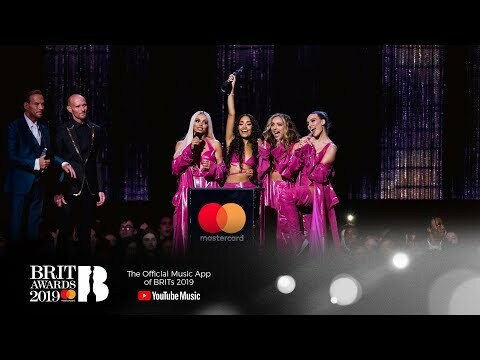 Of course, with anthems like ‘Salute’ in Little Mix’s repertoire, it’s no wonder that the band is empowering other women. PopCrush picked Jade’s brain on what she would tell her younger self, who her role model are and what she always takes on tour. We couldn't resist asking her a few fan questions, including what her favorit emoji is! Hi Little Mix - 'Salute' seems to be a populer single choice among your fans. Little Mix is returning with its detik album less than a tahun after releasing its debut LP, "DNA," in the U.K. last November. "Salute" will be released overseas on Nov. 11, following the Nov. 3 digital release of lead single "Move." hey guys! I humbly request ya'll to gabung this club dedicated to the Glory Days era!